To successfully pursue the flutemaker's craft, one needs good tools and hand skills, an understanding of airflow, a knowledge of materials, an eye for proportion, and the trained ear of an experienced musician and flute player. Every flutemaker's workshop is distinct from any other, and is shaped by the background interests and training of the makers, as well as the priorities of that particular shop. Because makers come to flutemaking from different disciplines, their strengths and weaknesses in the craft are in different areas. The diversity of knowledge and the proficiencies involved in flutemaking lead each maker to discover his own methods and tools. The influences on every maker are different as are the connections they build with players, suppliers, other makers with whom they share ideas and so on. For the most part, flutemakers must figure out for themselves how to get from the billet to the flute, and to that end, they invent their own methods, devise tools and jigs, find their preferred materials sources, and use what is available to them in order to arrive at the finished instrument. In our shop, procedures are constantly evolving as we seek quicker and more accurate approaches to production problems. 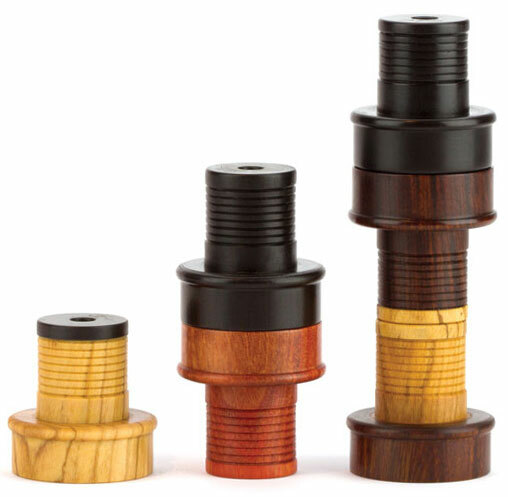 When we implement a different method of tooling, design a new jig, or buy that new tool-post or that upgrade for the lathe, any one of these changes can revolutionize our process, while improving quality and reducing production time. A new tool often redefines the process. It is in part because of modern manufacturing methods that our flutes are aesthetically so different from their forebears. Facilitated by tools like digital calipers and flexible shaft drills and by new materials like epoxies and carbon fibre, design and manufacturing methods free us to go in new directions. Still, in some areas of flutemaking we embrace traditional materials and old methods of working when they continue to prove unbeatable. A few examples of our design and manufacturing choices are listed below. Flush rings at the joints along the flute require an exact concentric alignment of flute sections. Any eccentric anomalies where the flute sections meet, would be more obvious with flush detail rings, particularly where the head-joint meets tuning-slide. Matching the grain and colour along the length of the flute, in wood other than Grenadilla, requires patience, focus, imagination and luck! We make the flute sections from several carefully matched pieces of wood, or from one long billet. Our “single billet” flute is matched perfectly from head to foot, but long billets of tropical hardwood are costly and not always easy to obtain, thus we take pains to find close matching pieces of similar grain and colour, when using more than one billet to make the flute. Waxed silk thread is Windward’s choice for wrapping the tenons. Windings add strength to the tenon, and the wax maintains the wrap and further protects against standing moisture. 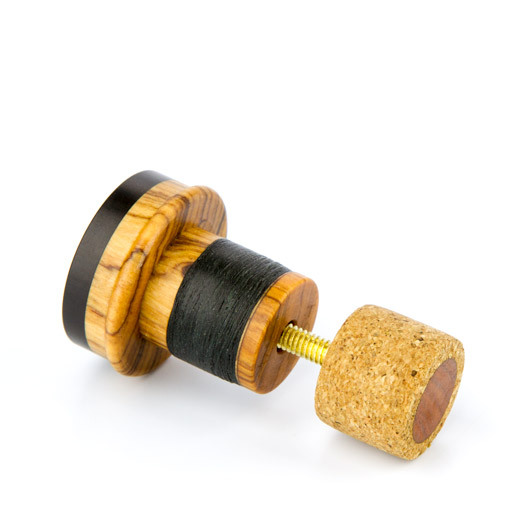 Unlike cork, silk thread windings can be adjusted when the joint moves in response to changes in ambient conditions. If waxed silk thread of the proper gauge is applied with a modicum of common sense and maintained with care, windings will not distort the tenons over time, but will only add strength. Judiciously adjusting the fit of the tenon mitigates the possibility of a cracked socket. The contrasting wood detail rings are reinforced with carbon fibre, making them more time consuming to fit, but this allows us to safely detail the flute in lovely wood, achieving a subtle and distinctive aesthetic. This starts as a small drilled hole and is carefully hand carved, with attention to every angle, radius, sharp edge and surface that will be left to form the embouchure. Being hand cut, each one is unique, but the knowledge of over/undercutting and the thinking behind them gives a certain signature to our embouchures. They are made to respond easily, project well, and offer the player a range of colour options and dynamic possibilities. The hidden elements like the cork face or combings, are made with the same attention to detail as any external feature seen on the flute. We imagine this offers a pleasant surprise for anyone who more closely inspects the construction of the instrument. Our finish protects the instrument, brings out the colour and grain of the wood, feels smooth and pleasant to touch, has no apparent smell and is easily maintained. The finish we have developed is not a simple surface application to the wood at the end of its manufacture, but rather it is the result of a series of treatments, in which a natural hardening oil is applied, soaks into the wood, is fine sanded and allowed to “rest” between treatments. This process is ongoing from start to finish, treating the wood during the whole period of the flute’s manufacture. The detail on the endcap playfully expresses the character of the wood and accent material of a given flute. Though it is a small part of the instrument, the endcap is nevertheless the “crown” and deserving of attention. Making the adjustable end-cap is an opportunity to have a little fun, and though it is disproportionately time consuming to make, we feel it to be worthwhile. We work with an orchestral player and professor of flute performance to objectively test and evaluate our flutes, when they are ready for voicing. She plays a crucial role in achieving consistency in the tuning of the instruments. Her objective approach, disciplined embouchure and ability to resist the natural urge to correct “off” notes, is partnered with Forbes’s skill, as he undercuts the tone-holes, refines the embouchure and vents the foot-joint to ensure tonal accuracy. Many flutes come off the workbench needing little adjustment, as can be seen in the video under this heading. These flutes are quick to sing, and require only minor amendment during the final tuning session. Others put up a fight, and demand that we take more adventurous measures to bring out the voice of the flute.